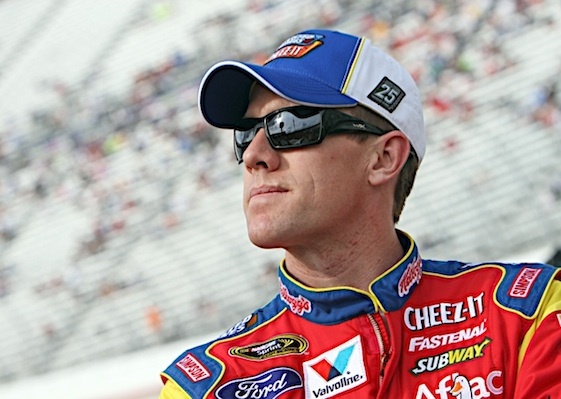 Carl Edwards and Roush Fenway Racing will part ways following the 2014 season it was announced on Sunday. Edwards’ future racing home remains unknown as the native of Columbia, Mo. refused to say with which team he would sign. The top contender to land Edwards appears to be Joe Gibbs Racing. The RFR lineup Sprint Cup lineup for next year will inclue Greg Biffle, Ricky Stenhouse Jr., and Trevor Bayne in a three-car program. Edwards has started 356 races for RFR in Cup. He has won 13 poles and 23 races. His best season finish was second second. Fastenal, currently Edwards’ primary sponsor, will shift to Stenhouse’s No. 17 car next season. Ford’s director of racing, Jamie Allison said, “Carl Edwards has been a part of the Ford family for a decade, and it will certainly be tough to see him leave Ford and Roush Fenway Racing. During Carl’s time with Roush, he has represented Ford Motor Company with the utmost class, both on and off the track. We at Ford Racing did everything to facilitate keeping Carl a part of the Ford Racing & Roush Fenway family, but in the end that option did not come to fruition.